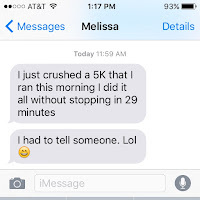 Recently I have been talking about my cousin Michele, who signed up to run her first half marathon in Houston with me. 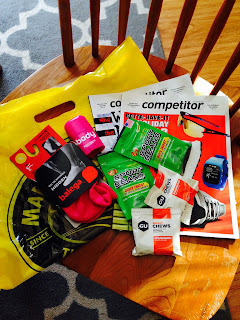 When I saw her last month in Ellicottville, I put together a little goodie bag with of my favorite running products from my local running store, Marathon Sports. I wanted to include items that she probably didn’t already know about or something that she would never buy for herself. It makes me really happy to share my love for the sport and hopefully motivate her to accomplish her goal. 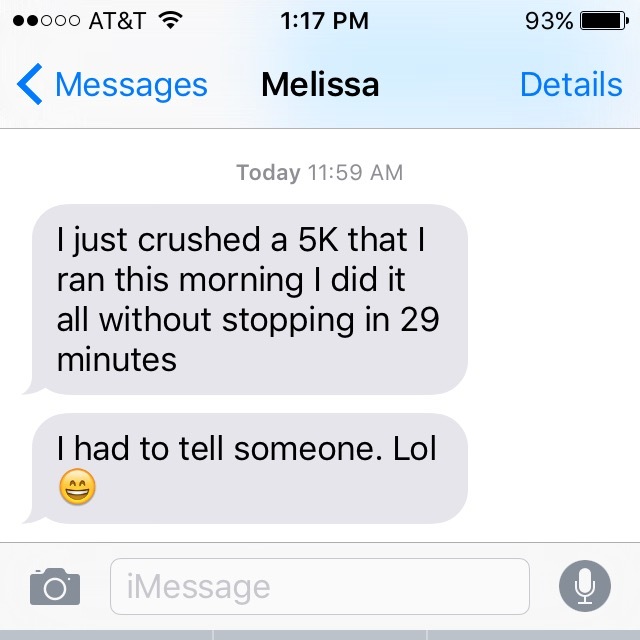 Have you ever helped out a new runner? 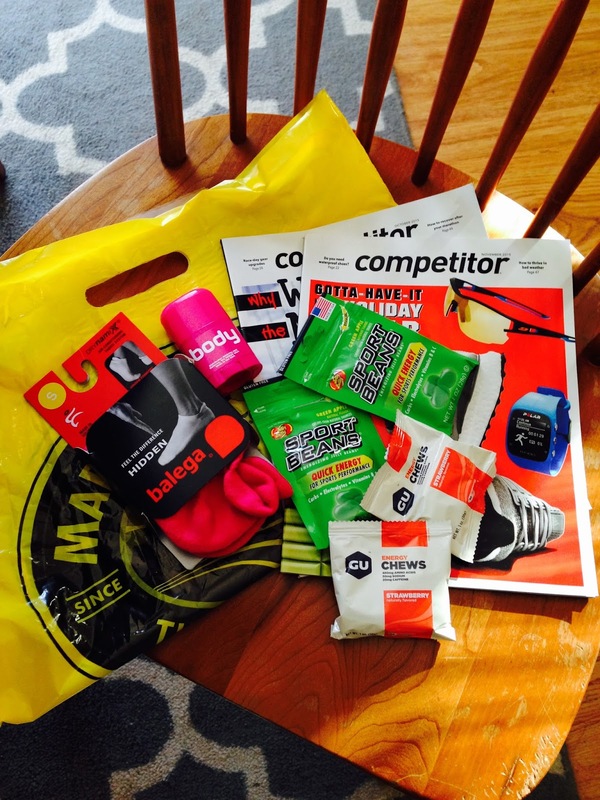 What products would you put in a goodie bag for new runners? My go to anti-chafing stick is Body Glide. 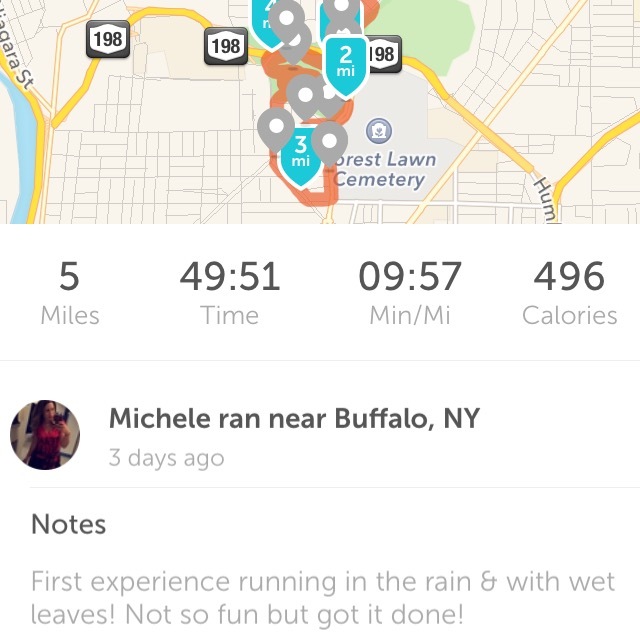 New runners may think this is silly (I’m sure Michele thought I was nuts!) but any experienced runner will tell you it’s a must have product. Find out your problem areas and roll it on before every run. I need it more so on long runs in hot, humid weather and the freezing cold, raw days. A good pair of running socks means happy feet! Cotton socks are miserable and can lead to blisters galore. I have been running in Balenga Hidden Comfort socks for the past few years and swear by them. They are lightweight yet very cushiony and come in bright, fun colors! It’s important to bring fuel on any run longer than an hour. That’s when your body starts to run out of its glycogen stored in muscles. Blood sugar levels fall and your performance will start to deteriorate. I have tried a few different products in the past but now consistently use Strawberry GU Energy Chews on all my long runs. I love the flavor and the gummy texture allows me to take my time fueling instead of sucking down the gross gels as fast as I can to get it over with! Find the product that works for you and stick with it! Another one of my favorites if I need a quick energy snack before a run or before spin class are Green Apple Sport Beans. So yummy! The big 3 in running magazines are Runner’s World, RunningTimes, and Competitor Magazine. While I love them all, the great thing about Competitor Magazine is that it’s free! 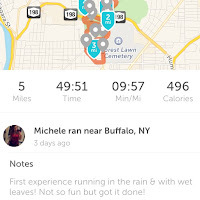 A lot of running stores and fitness centers has copies available, so you just have to find out where to locate them. You can also view online and sign up for weekly emails featuring articles, tips, motivation, blogs, etc. I didn't include this in my goodie bag for Michele but I should have! Every runner should own a RoadID. I repeat—Every runner should own a RoadID! I've said it before and I'll say it again. It's one of the best gifts you can give yourself or your family members. We live in a crazy world. It's better to be prepared. Safety first!